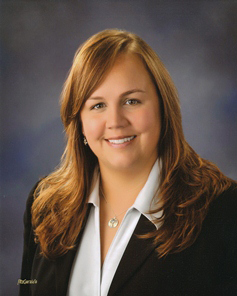 Tumwater Councilmember Nicole Hill submitted her resignation from City Council after nearly six years of service. Hill has accepted a new position with The Nature Conservancy of Arizona, leading Desert and Grassland Conservation Programs, and is relocating to Phoenix, Arizona. “Councilmember Hill’s knowledge of growth management and natural resource issues has been an asset to the community. She will be missed,” said Mayor Pete Kmet. Councilmember Hill was first appointed to City Council and later elected to a short-term in 2013. She was elected to a full term in 2016. Hill has served on the City Council Budget and Finance and the Public Safety committees, and chaired the Public Works and Lodging Tax Advisory committees. As a Councilmember, she represented the City on the Joint Animal Services Commission, LOTT Alliance Board of Directors, Olympia-Lacey-Tumwater Visitor & Convention Bureau, Thurston County Economic Development Council, Thurston County Transfer of Development Rights committee, and Thurston Thrives. To learn more about Nicole Hill’s time in Tumwater and her service, read here.